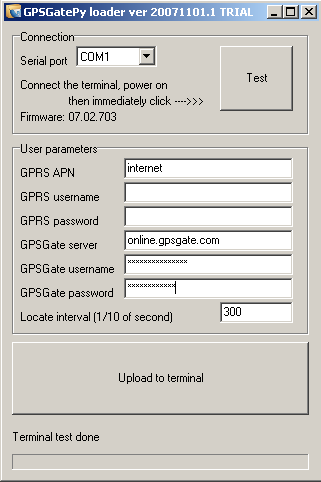 Sirf Star III GPS and Python script engine to host user software application. these modules such as EZ10-GPS/GPRS or TER-GX110-GPS. 1.4 Click on "Devices Settings"
1.5 Click on "Add a device"
the device and immediately click Test button. Firmware version should be displayed now. power savings, or anything else, please contact Byteworks for a custom design. They are also able to give you purchase advises and technical support for Telit based devices.